You are at:Home»News Pages»City Spotlights»Are You Ready for This Tourist Season? Are You Ready for This Tourist Season? It’s almost that time of year again! The weather will turn warm and predictable, school will end and people will start traveling to spend their vacation with us in Bend. Those of us that serve the tourists don’t have much time left to invoke our inner boy scout and live their motto – Be Prepared. This is the time that I am planning, automating, maintaining and eliminating. I know there are other businesses serving tourists like Cowboy Carriage, run by one person or a husband and wife team. If we don’t get these things done now there won’t be enough time to get them done this summer when we concentrate on serving our customers. When it comes to planning, it’s important for my business that I know what major events are happening downtown and around Bend. Downtown street closures or events that I always do really well at, like Oktoberfest, I make sure are on my calendar. I am checking community calendars, visitors associations and event companies to get their events on my calendar as well. I have been doing this for years now, and I am able to use it to my advantage every year. As tour guides we are able to spend time with our customers. We learn where they are from and why they picked Bend to visit. As salespeople we should be able to find out these details in conversation. I found out about a huge lacrosse tournament that happens every year in Bend from having conversations with my customers while they are in my carriage. Since it gives my business a boost, it may be somewhere that I want to divert marketing dollars to. Plan and track your successes and failures. How do you plan for where you want to go if you don’t know where you have been? As a small business owner, father and caretaker of horses, I don’t have a lot of extra time. Anyway that I can automate my business to serve my customers without my constant input is a huge benefit. This winter I implemented a new booking software on my website. Anyone out there that is still manually putting customers on a calendar needs to look into this immediately. Not only does it handle scheduling and payment, it takes care of liability waivers, reminder emails, up-selling add-on swag and handling frequently asked questions without interrupting you while you’re having dinner with your family. After your customer’s event, this software can also send multiple emails with requests for photos on your social media, customer reviews and even send them an offer for a discount on their next visit. If we take care of a customer well the first time, it’s even easier to make them a customer a second time. 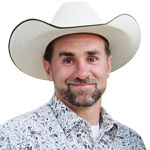 When I first started giving wagon rides in Bend the summer of 2010, I was losing money just so people would see me in town. I gave huge discounts on weddings because they were at a resort that I had never worked at before. Cowboy Carriage has gotten to a point now that I track my lowest performing, biggest hassle products and consider eliminating them. It’s time to stop being satisfied with base hits. When we become consistent and confident in what we do, once in a while we can step up to the plate, point our bat at the 330 foot mark on the left field wall and swing for the fences. 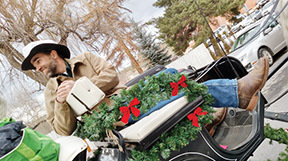 My big swing in 2015 was my advertising campaign for Christmas caroling rides. It didn’t go as well as I wanted, but I still had my consistent base hits, wedding, brewery tours and carriage rides downtown to give me the opportunity to try to knock one out of the park. As business owners we have many different things — responsibilities, aspects — that need to be maintained. The first thing that comes to my mind is the equipment I need to keep my business rolling. Wagons, carriages, horses tack, truck and trailer. I want to make sure in the slow season that I am not going to have any problems with my equipment during the busy times, when it’s going to cost me more than a repair bill. Maintaining relationships is also very important. 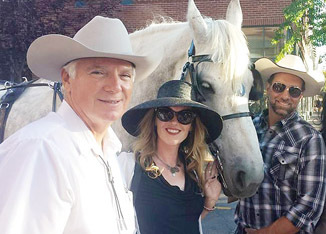 Cowboy Carriage would have never made it two years if it wasn’t for the support of family, friends and the local community. Not only are they my greatest source of referrals, but if I have an emergency and need help, I know who I can count on. Last summer I had an equipment failure in the middle of a brewery tour. I immediately called John Flannery with the Bend Tour Company and he was there to help. We have been referring people back and forth since I started giving carriage rides and he was running the pedicab. Without that relationship, I would have been in trouble. If I am booked for a wedding and someone wants to do a brewery tour on the same day, it makes sense to me to make sure the customer gets what they want. If they enjoy themselves in Bend on their first visit, it’s more likely they are going to choose to come back here again and hopefully then I will be available for them. Remember the aphorism, A Rising Tide Floats All Boats. Life is never static, it’s getting better or worse. My balance sheet is always plus or minus, even if all I did was feed horses that day. In order to keep that balance sheet out of the red I need to keep my hay burners earning. 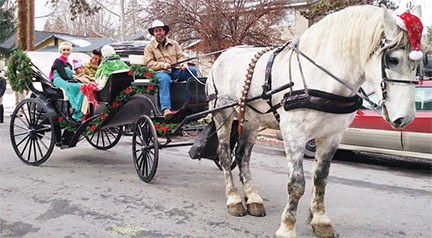 Weddings are usually on Saturdays, romantic carriage rides typically happen on the weekends. That gives me the weekdays in the summer to come up with something else. Last year I met Tai of Fairytale Encounters. She’s a beautiful young lady that dresses up like the Disney Princesses and goes to children’s birthday parties. This year we are partnering to do horse-drawn hayride birthday parties. We travel to Foxtail Bake Shop for cupcakes and pick up ice cream at Goody’s before dropping everyone off in the park to continue the birthday party. There are always things that you can do to expand profit potential. When I am ready to build a new horse barn I will be adding a living space to either rent to a tenant or to use as a vacation rental on Airbnb. I have a big truck and trailer that I use three or four days a week to bring the horse and carriage to town. On the other few days, I could offer to do custom hauling. If I have to invest my money in something, I want to be able to stack its functions for more than one purpose. If you are open minded and creative, there are so many ways to do something a little extra. So, are you planning, automating, maintaining eliminating and expanding? If you’re not doing these things, is your business suffering?